Last week, my older son Luke started kindergarten. He gripped my hand as my husband and I walked him to his first day of school. 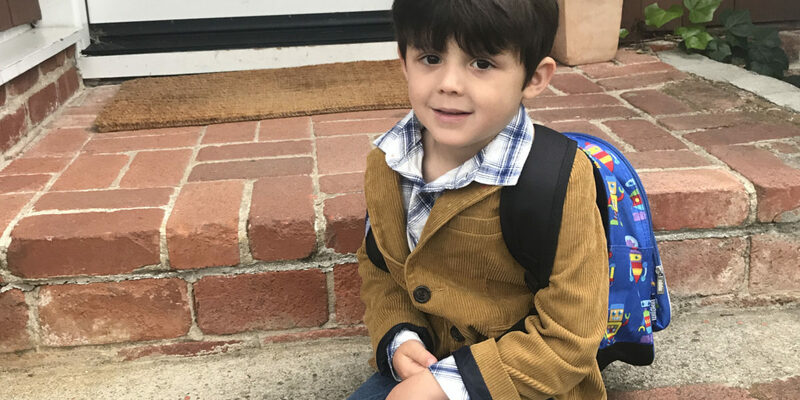 Quietly, he told us that he was “a little nervous.” But his fears melted away fairly quickly as he entered a bright classroom, filled with books, art supplies and other eager kiddos. Sitting down next to a brand new friend, Luke started happily coloring. I watched with dewy eyes, feeling lots of pride and just a touch of anxiety about how fast he is growing up and how much our lives are changing. Later that morning, I sat at my desk in deep reflection. As I’ve shared previously, I founded Wildflower when I was pregnant with Luke. The original Wildflower solution was inspired by the challenges I faced navigating healthcare during my pregnancy. I can’t believe how far we’ve come in the past six years. Just like Luke, we’re growing up fast and changing quickly. We’ve gone from 50,000 early users to securing health plan contracts covering more than 45 million lives and provider contracts covering nearly 100 hospitals and hundreds more outpatient providers. Meanwhile, we also have expanded our solutions so that we can be there as families grow and change. As a parent, you survive pregnancy, you work through the complexity of having a newborn and the fear that you’re doing it all wrong! Before you know it, your kids are growing up and there are new parenting skills required of you. Your parents get older too and need help. And all the while, you do your best not to neglect your own health. Each phase brings so much joy and blessing, but it is also filled with challenges that we must address to keep our families happy and healthy. Wildflower has spent the last six years evolving our solutions to support families at every age and stage. We’ve built upon our original maternity programming to offer newborn, pediatric, teen, adult and aging parent content, resources, and connections. We believe digital tools that educate, empower, and connect the dots to health and community resources can truly help families thrive. Our sincere hope is to be the go-to resource for families no matter where they are on their journey, by seamlessly connecting families to their healthcare – their health benefits, their doctor, their community services – and providing families with trusted advice, tools and resources personalized to their needs, preferences and care providers. The day after my son’s first day of kindergarten, I had the privilege of joining a business review with one of our largest clients. Our client spoke passionately about the opportunities she sees for our digital solution to help support healthier pregnancies and deliveries for the most vulnerable pregnant women in their population. I thought about Luke, walking into that kindergarten classroom with a mix of nerves and excitement, a world of learning and adventure and opportunity awaiting him. The work we do ensures that kids across the country, just like Luke, get to fully experience all the moments that matter. Wildflower was founded out of a deep empathy for women, children and families. I wake up every day inspired to do my best work because I know what is at stake. I am also thankful for personal reminders of the responsibility we have to continue innovating and improving our solutions. Each time, we help a family, each time we play a role in a healthy pregnancy and delivery, each time we are there for a parent in need, we say, “One more.” Because there will always be “one more” mom or dad, one more newborn, or one more kindergartner like Luke, who needs our help. Can Intelligent Mobile Solutions Reduce Benefit Waste with “Right Time” Access and Simplified Experiences?